They suggested that we add an eighth day to the week. Since it was their idea, they decided to call the day “Sabbath-Day-OK-This-Time-We-Really-Mean-It”. The scientists said “Sure, time is a human construction, and we can make it whatever we want.” So they eliminated January and February from the calendar, and did a few more tweaks here and there, and got us back to 365 days a year. Non-churchgoers loved the idea of an extra long weekend every week. Business owners found that their productivity stayed strong as worker morale improved. And as for Christians, celebrating their “Sabbath-Day-OK-This-Time-We-Really-Mean-It”? That’s right. Attendance figures just came out for the past year, and worship in American churches has dropped another tenth of a percent. It would appear that with more time on the weekend people just did more stuff. More visiting with the grandkids. More time for yardwork. More camping trips or sleeping in. And so, the Eight Days A Week movement, as it has been called, was a success for everybody except the people who proposed it in the first place. Lately, there’s been talk about moving back to the old system. People miss Martin Luther King Jr Day and Valentine’s Day in particular. As for my humble take on things, I think the church is going to be okay, and I think Christians are going to be okay, but not without some tough times along the way. Our society has definitely steered away from notions of Holy rest and worship, things God says we clearly need. on the other six days. Is it true? Are Christians hypocrites? To find out, I followed someone home from church this week, just to see how hypocritical they actually were. On Sunday they were a model citizen, until they started shouting obscenities at the game on TV. On Monday, they told their spouse about something from work, and made it sound like they were the hero, when they really weren’t. On Tuesday, they turned the channel away from one of those “starving children” commercials, so they wouldn’t be convinced to give. On Wednesday, they went well over the speed limit. On Thursday, they didn’t tip a waitress, because she brought them the wrong drink. On Friday, they visibly tensed up when someone who didn’t look like them brushed past them at the store. On Saturday, they made a little too merry, and said a few things they probably shouldn’t have. Nothing earth-shattering there, but everyone of those actions represents some type of hypocrisy. As Christians, we’re not supposed to exaggerate, or turn a blind eye, or break the law, or treat others rudely, or act out of fear, or over-indulge, or speak carelessly. Right? That (imaginary) church member should know better! Every day we have an opportunity to represent Jesus Christ in this world, and every Sunday we declare our desire to do just that. And every week, in small ways and great big ways, we fall short. We all do this. Most of our shortcomings are the kinds of minor things anyone might do, but when Christians, who proclaim to live according to a higher authority do them, it’s a glaring misstep. It’s hypocrisy at its finest. Here’s the deal: Despite what many might think about our religion, we haven’t arrived at some perfect destination. Rather, we’re on the journey of a lifetime. A journey to become more and more like Christ. Methodists call this sanctification. To be made holy. The journey has twists and turns, road-blocks, U-turns and slowdowns, but God willing, we grow in our faith. When others look at me, I want them to see a reflection of Christ. But when I fail at that, I want them to see someone humble enough to admit it and try again. Worship at its best instills in us that kind of humility. On Sunday morning, when you come to church, don’t pretend to be something that you’re not. NOTE: As we continue prayers for Texas and the Houston area, I invite you to donate to the United Methodist Committee on Relief. This organization is among the first on the ground and the last to leave when disaster strikes. Donate through them by visiting UMCOR. It was a special Sunday, Children’s Sabbath, and our children were running the whole show (with expert help from our staff). I was, for once, superfluous on a Sunday morning so you know what I did? I sat up in the balcony. Each week I watch this crew of folks who choose to sit in the balcony. Lots of kids, laid back parents, folks who seemed to take things a little casually. I decided I wanted to see what it was like to just be a spectator–an audience member up in the cheap seats, so I climbed up, sat down, got comfortable, and discovered that I was wrong about the whole thing. I was wrong about worship in the balcony. I hadn’t fully realized that it was a holy place of worship just like any other place. If I truly wanted to do “nothing” that Sunday, I was in the wrong place. There was nothing superfluous up here. No audience members or spectators. Only worshippers in our balcony. In fact, the unique perspective added to the experience. We were hovering down over the worship leaders and the rest of the congregation — I’d call it an angelic perspective. We stood and sang at the hymns, we prayed at the prayers and we listened to the sermon, just like anybody else. But from our vantage point the whole sanctuary was laid out before us. It was quite beautiful, really. I always wanted to sit in the “cheap seats” because it looked like fun. Turns out it offered the richest of worship experiences. It’s the newest sensation that’s sweeping the nation. I call it “The AttenDance”. and on the other weeks, you don’t. On those off weeks, you dance around to 101 different activities. Watching the kids do sports. Or watching the NFL. Grocery shopping. Or sleeping in after a jam-packed Saturday. Visiting family outside of town. Or getting caught up on housework. The AttenDance may look different depending on who does it, but more and more active Christians are trying it out. With so many Christians — even self-professed active and committed Christians– missing so much time in worship, the change I wonder most about is to the vitality of Sunday morning. What happens when we’re not all together in one place? You know, like at Pentecost? The Bible tells us that the disciples were all together in one place–filled with the Holy Spirit, dancing around. 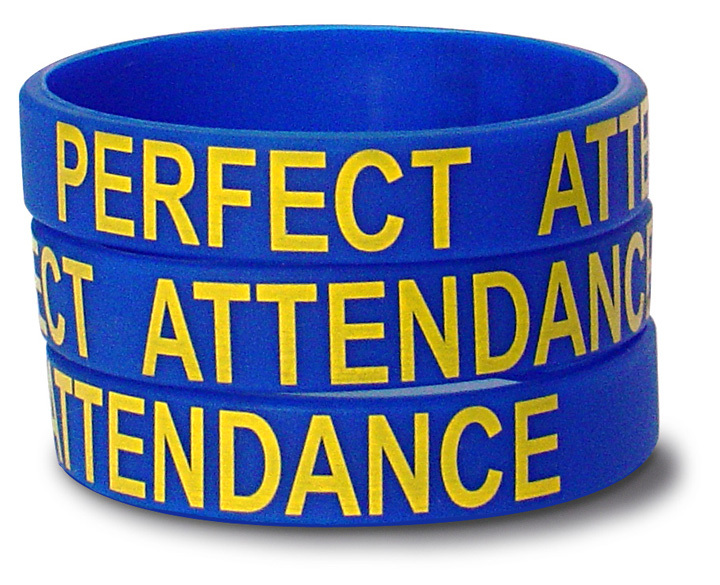 Was Pentecost a reward for perfect attendance? Will the Holy Spirit still come to us even if some of us are dancing off somewhere else? Of course! Jesus said, “Where 2 or 3 are gathered”…right? Okay. We all have real-world and spiritual priorities to reconcile in our own ways. We live in a busy world, and Sundays have become just as busy as other days. Does that mean The AttenDance will stick around or is it just the latest fad? Some will say we need to “come back to church”.